The Cayin CS-55CD Tube CD Player is a small chassis, full-function CD player sized to match the Cayin A-50T Integrated Amplifier. 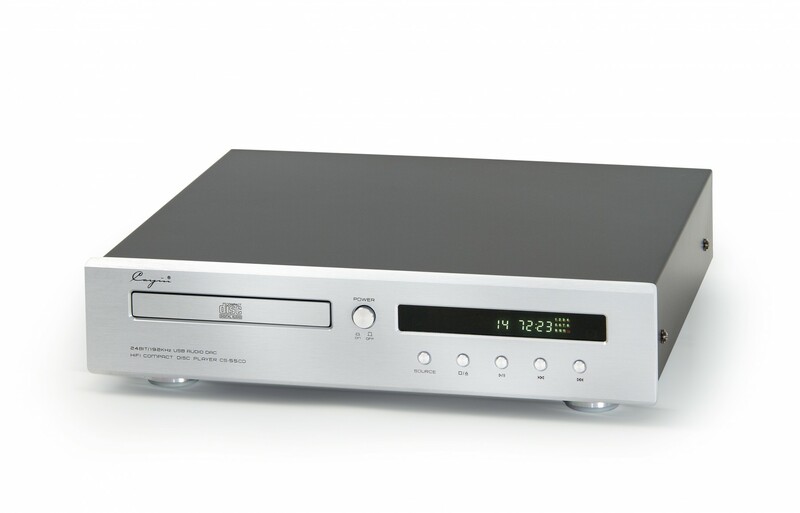 The CS-55CD may be an entry level CD Player, but it boasts Cayin’s high level design standards! Using technology from the larger Cayin chassis models, the CS-55CD features resolution of 24 bit/192 kHz thanks to the powerful Burr Brown PCM 1792 D/A converter, an elaborate output stage with its 12AU7 tubes, aluminum/stainless steel faceplate, chassis and a remote control. The Cayin CS-55CD Tube CD Player gives you that warm, dynamic, musical sound! In addition, Cayin has updated this full-functioned player to sport a DAC for those that want play from music through their laptops and phones. * Option for CD Players without the DAC is available. Please contact VAS or your local dealer for more information.